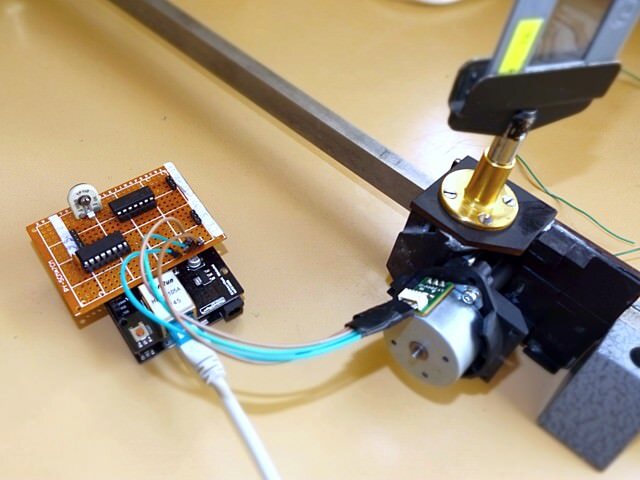 The role is based on the measurement of resistance of two basic electronic components - sensors, and a platinum thermistor with a negative characteristic - at different temperatures. 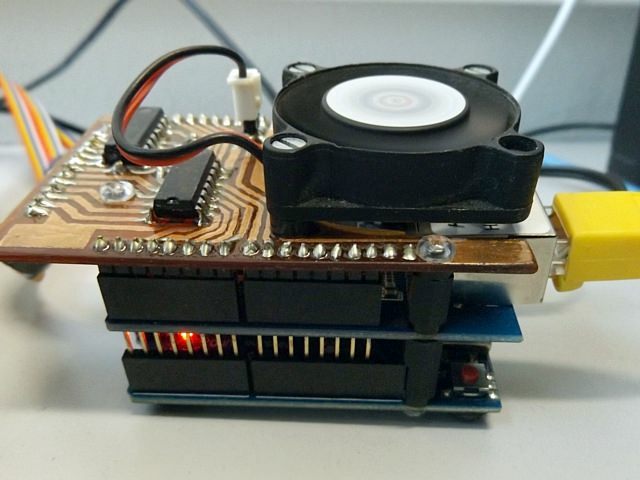 For the heating (or cooling) of the two components are used Peltier, whose output is controlled pulse modulation. The resistance of both parts is sensed by an operational amplifier and a pair of AD converters are converted to digital form. 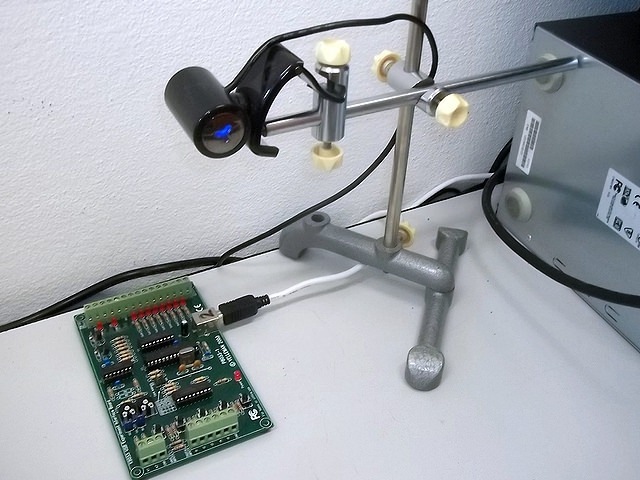 Couples surveyed sensor components are complemented by a digital thermometer. 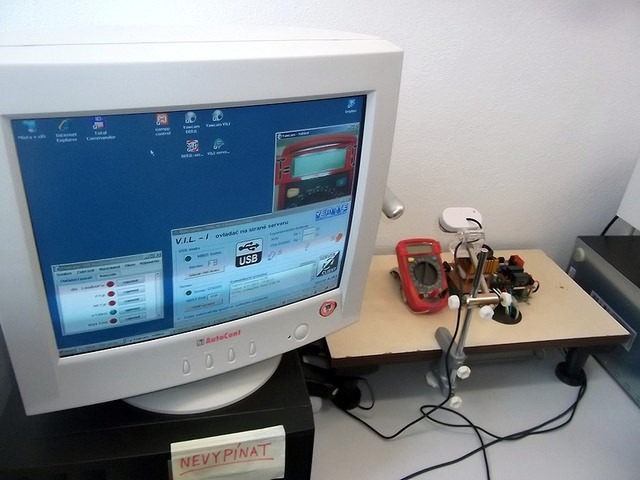 The current temperature reading on the thermometer display - in real task is read by USB webcam. 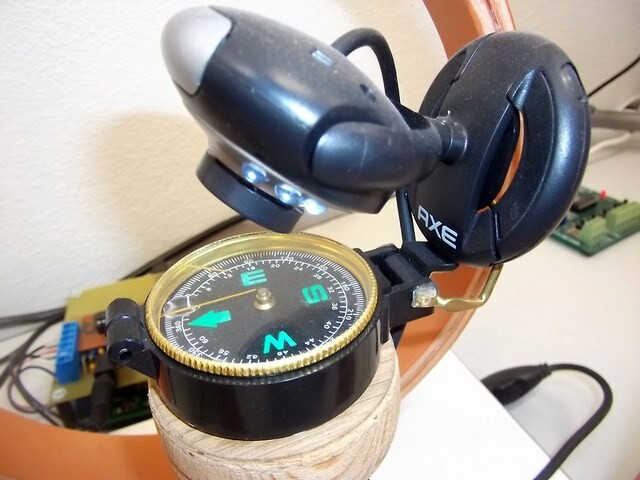 The classical method for measuring the horizontal component of the earth's magnetic field is a method of tangent compass. At the beginning of the measurement coil is set so that its plane agreed magnetic meridian plane and thus the direction of needle. If it starts then an electric current flowing through the coil creates a magnetic spot in the magnetic field, the magnetic field is given by the vector sum of the Earth's magnetic field and the magnetic field generated by the coil. 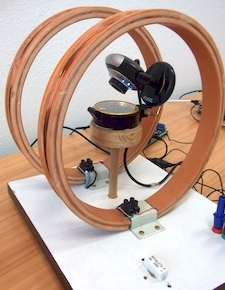 The experiment is based on a comparison of the earth's magnetic induction, and induction of artificially induced by the so-called Helmholtz coils. Knowing the "artificial" magnetism (or current coils) and the vector sum of both Magn. induction is observed value of the horizontal component of Earth's magnetic field at a given location. Due to the field coil, the magnetic field vector is perpendicular to the horizontal component of the earth's magnetic field, the magnetic needle is deflected from its original position by an angle φ and reach a new equilibrium corresponding to the direction of the total magnetic induction. Angle odklomu needle from his initial direction is subtracted from the webcam. 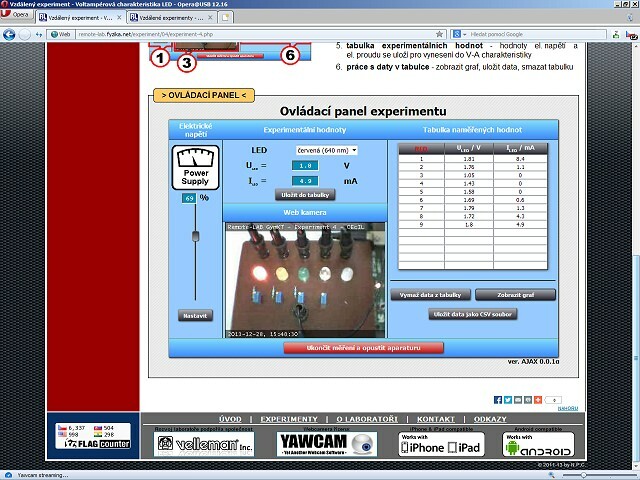 The task is to compare voltampere technical characteristics (in the pass direction) of red, yellow, green, blue and white LEDs. 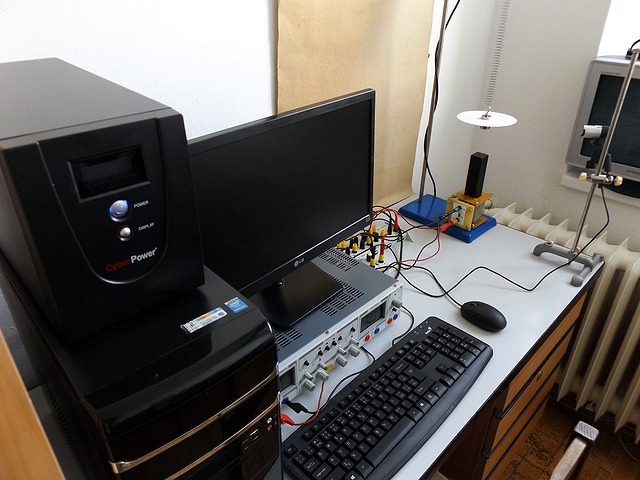 With the acquisition threshold voltage, you can specify the width of the band gap semiconductors used and the wavelength of the emitted light. The measurement principle of this role is based on the standard method of measurement of V-A characteristics of the electronic element. 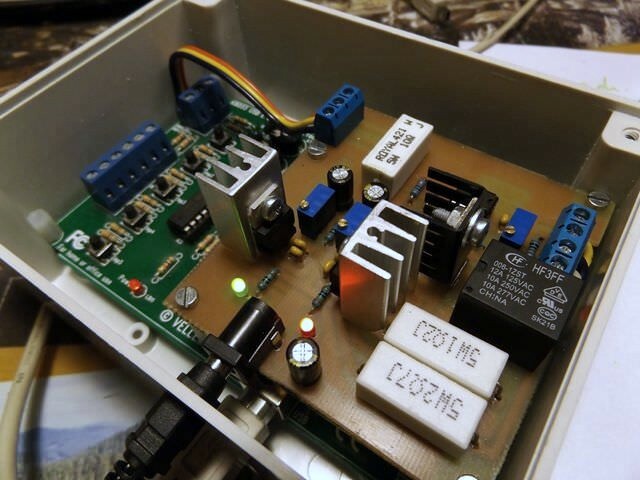 We're changing the voltage on the measured element (here LED) by a variable power supply. 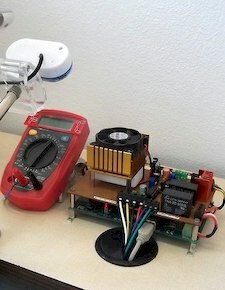 Subtract the the size of the electric current to the amperemeter, which is connected in circuit. 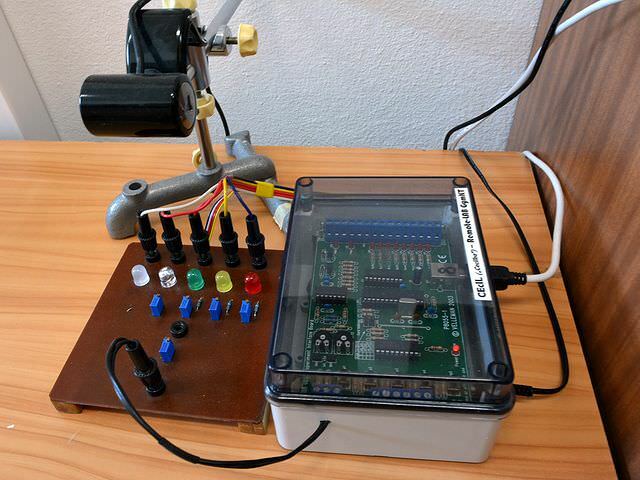 Regulated power supply and measuring instruments replaces the measuring USB card K8055 in case of this remote experiment CEcIL. 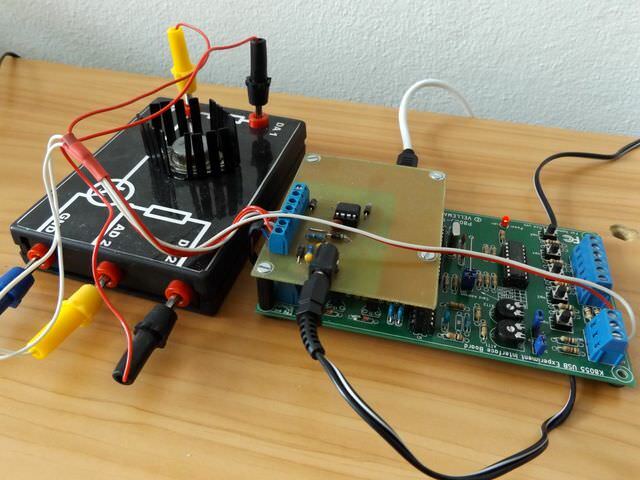 Digital-to-Analog output is current strengthened and serves as a regulated power supply. 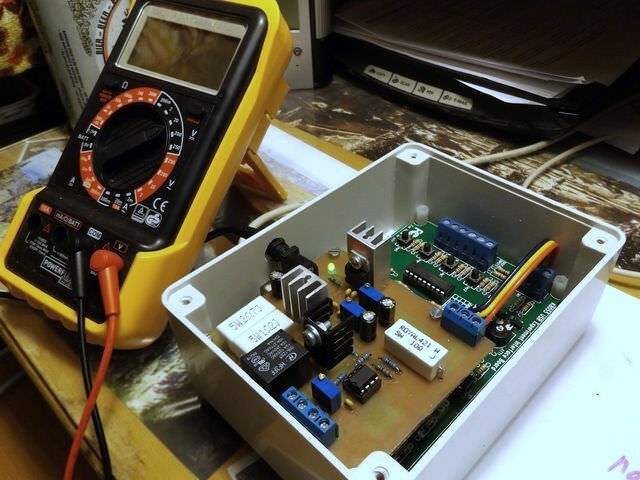 A pair of analog-to-digital inputs are used as a pair of voltmeters. 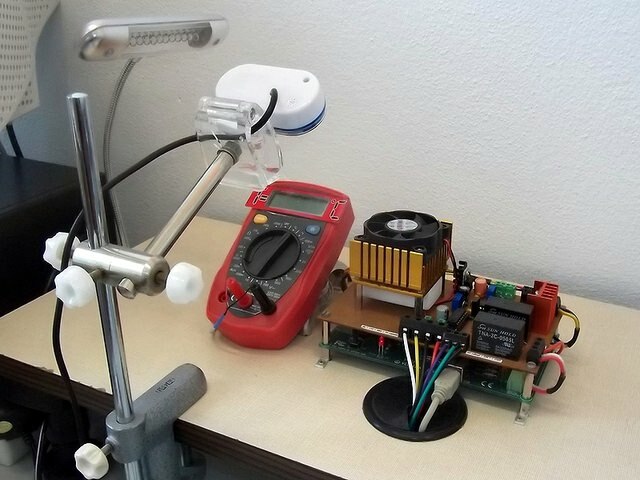 One measures the voltage on the measurement of LED, the second measured voltage to the ballast resistor. 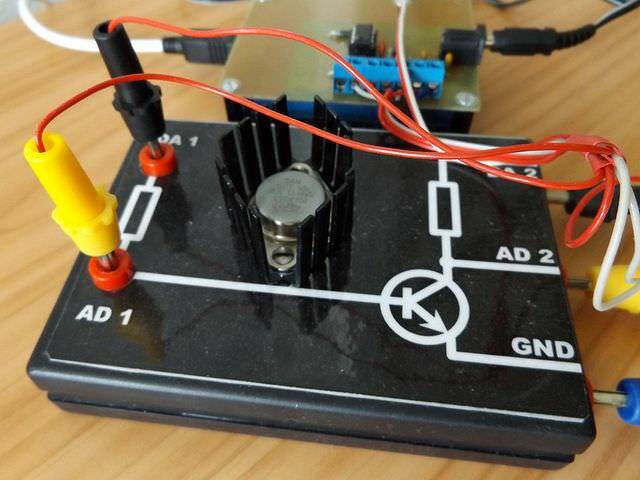 Electric current is determined from a knowledge of the voltage across the resistor. 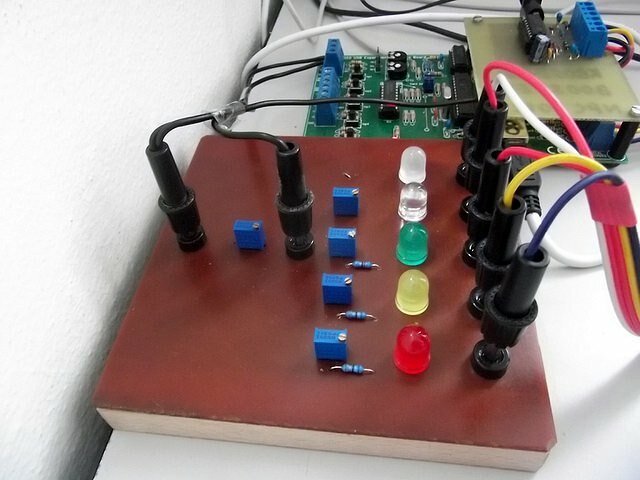 Five digital outputs of the card K8055 are then used to select one of five LEDs that can be measured. 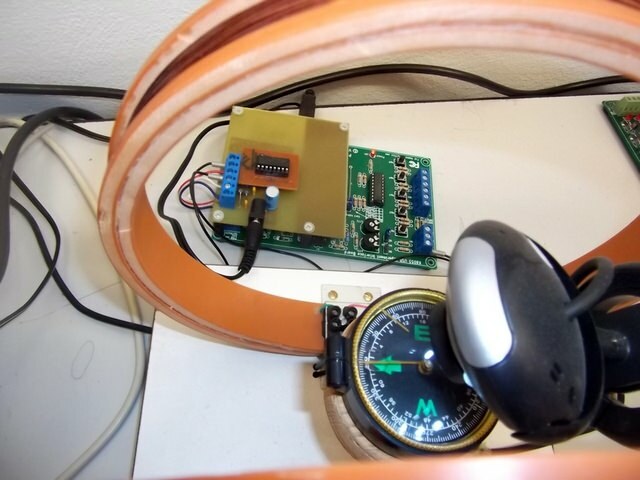 The experiment is constructed so as to be able to measure the output characteristics and transfer characteristics of the bipolar tranzistor - especially to determine current gain of the transistor. The role will be expanded to include the possibility of measuring the input transistor characteristics for those interested in the future. The bipolar transistor 2N3055 was chosen for the task. It is quite often used as a power transistor output stages of different amplifiers. 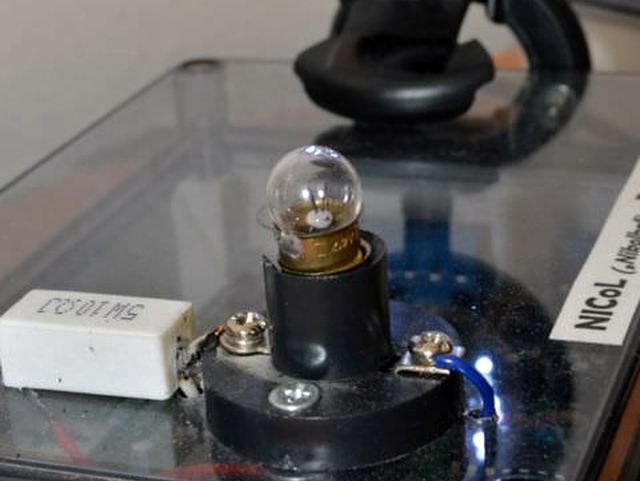 This makes the transistor and its characteristics sufficiently documented. The obtained experimental values can thus compares well with the values of the catalog or data sheet. The transistor is connected to the K8055 card. 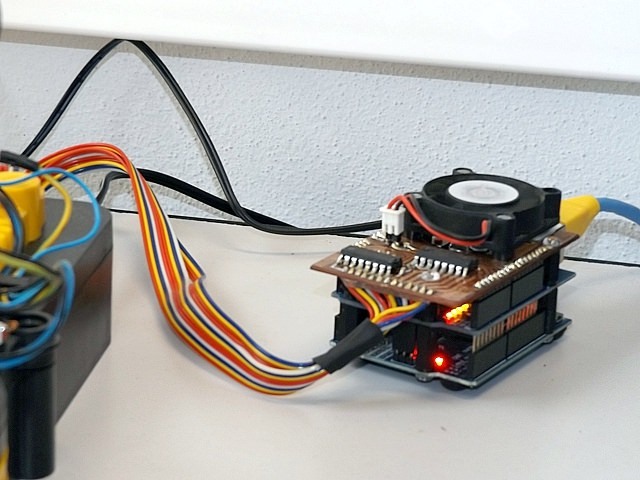 The base voltage of the transistor is set by the first DA-converter of the USB board K8055. 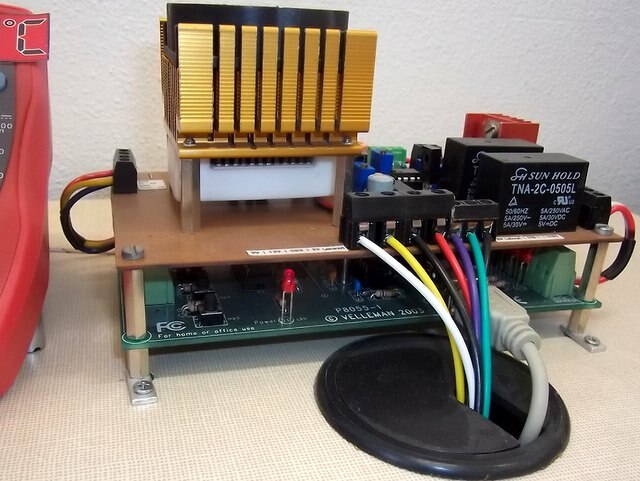 Output of the second DA-converter is used as a variable source voltage for the collector circuit. 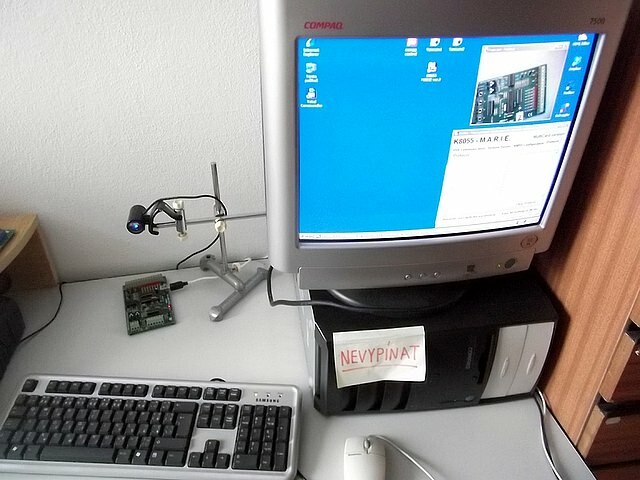 Both DA-output of the USB board K8055 are current-strengthened. Conversely, a pair of input AD converters are used for loading electrical quantities. 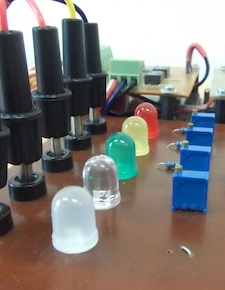 They are used as ammeters for retrieving the size of flowing currents, and as a voltmeter to determine the voltage between the collector and emitter. 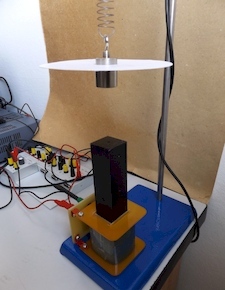 The task of the experiment is to show the true shape of the current-voltage characteristics for such ordinary appliances such as incandescent bulbs. 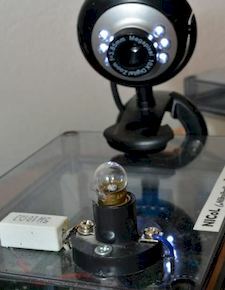 Measuring of the bulb's current-voltage characteristics is the first student's meeting with so-called non-linear loads. 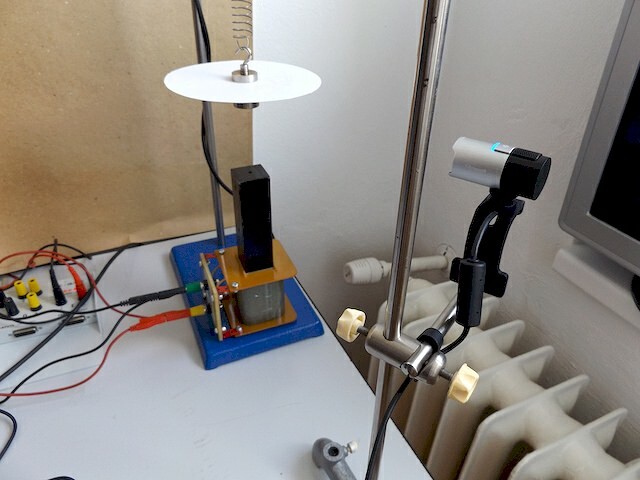 We can again demonstrate the thermal dependence of the electric resistance of metals at the same time, in particular by comparing the resistance of the "cold" and "hot" bulb. 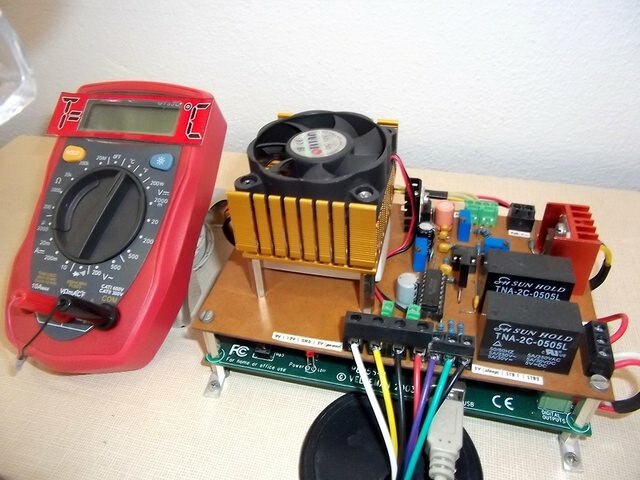 The measurement principle of this task is based on the procedure when changing means of a variable supply voltage to the measuring element (here bulb 2.2 V/0.18 A), and we deduct the size of the electric current at the amperemeter, that is connected in the circuit. The role is another in a series of jobs are entirely developed and built on our costs. 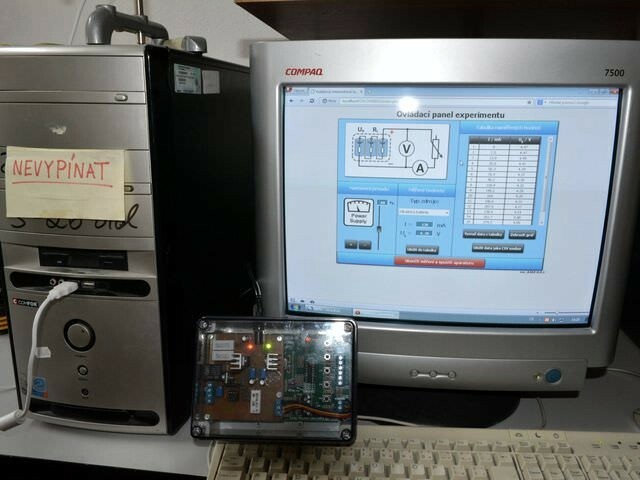 Control of the experiment is again realized using the USB board K8055 with the control application K8055-MARIE. 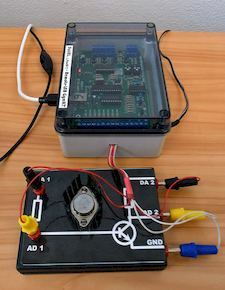 In this case, even the role utilizes free capacity control board K8055 from the role of NICoL and so is realized directly on the apparatus this experiment. 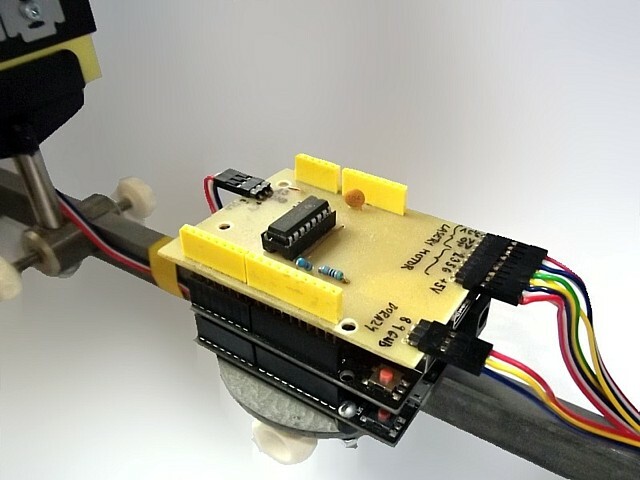 This helped us not only to create a new task with minimal costs (about 200 CZK), but mainly we created two independently controllable tasks on a single board K8055. It is still unique in the world! 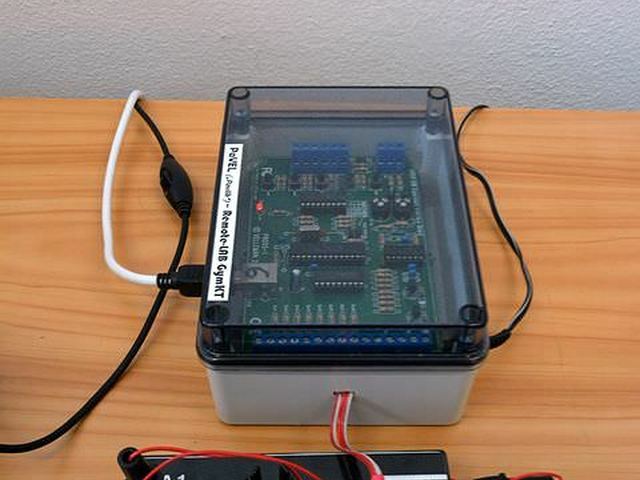 A remote experiment allows you to measure the load characteristics of two commonly used electrochemical sources - alkaline and zinc-chloride batteries. From both electrically-charged voltage batteries, the incrementally increasing current is drawn. Each value of the drawn current is measured at the same time as the value of the corresponding terminal voltage. After pulling the pairs of current-voltage values into the graph, we get the dependence of the terminal voltage on the drawn current - so-called load characteristic of the source. 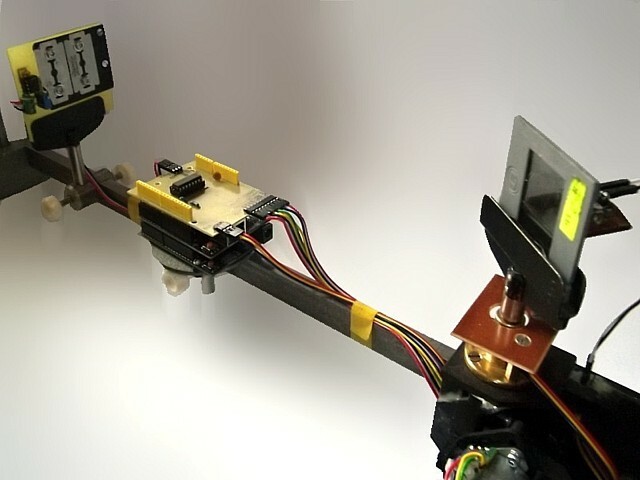 The shape of this dependence is influenced by the internal structure of the battery cells, which can be described electrically by the basic parameters of the source - electromotor voltage, internal resistance (or short-circuit current). 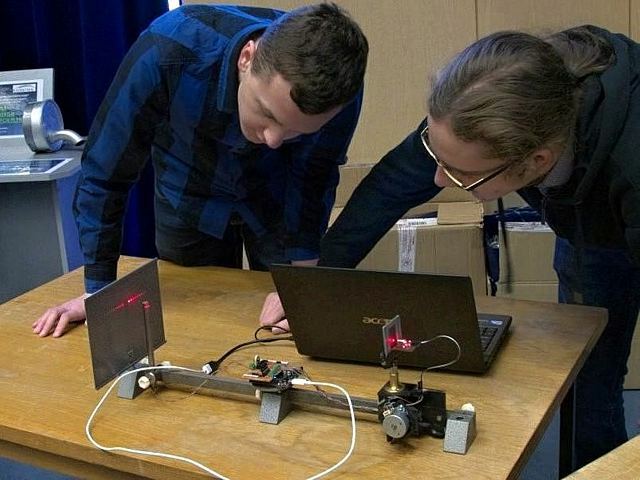 The role was developed by our students in the competition: Technical Olympiad of the Pilsen Region. 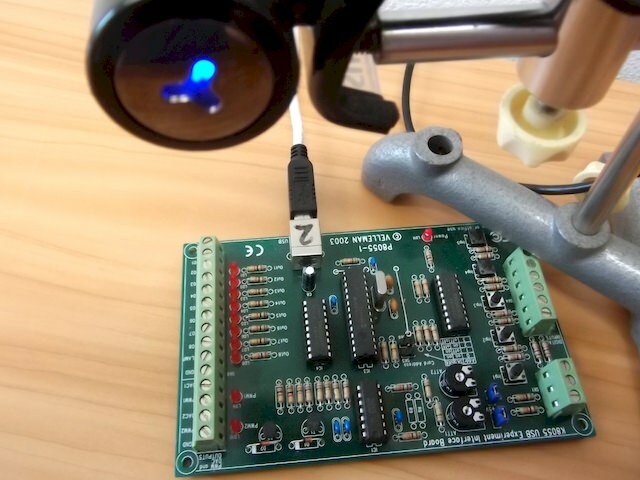 Measurement of the job is once again based on the proven K8055 USB board, but a new way of remote communication is used for control. This method is based on our original K8055-MARIE application (version 2), but uses new techniques. 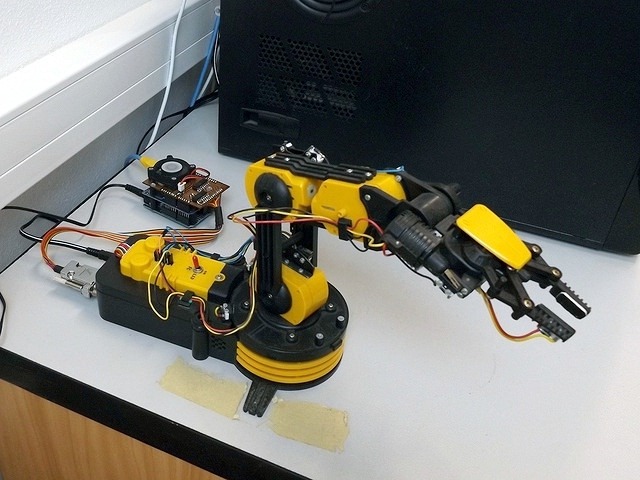 This has ensured backward compatibility with original control, but with significant acceleration and increased remote control efficiency of the connected experiment. 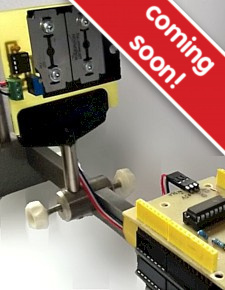 Gradually, all other tasks will be transferred, and after successful exams, this release will be released to other developers as other versions of the K8055-MARIE. The measuring principle of this task is based on a standard measurement procedure. Spring oscillator formed by a spring (of stiffness k) and a weights (mass m), is deflected from its equilibrium position. 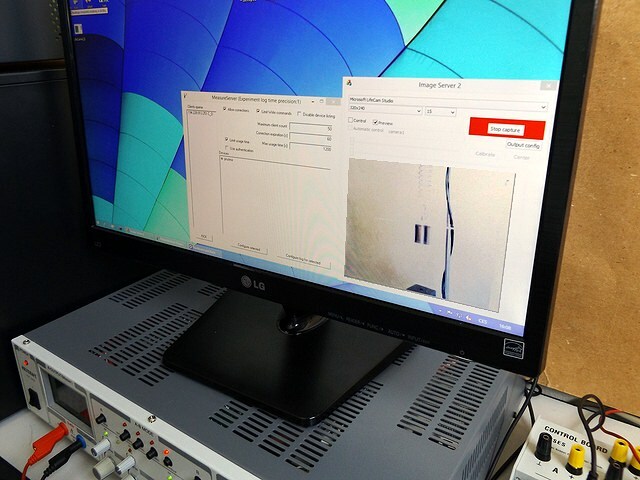 It is enough "to swing" system for the study of damped oscillations, then stop excitation and monitor the own oscillation. You can determine the damping coefficient δ from time record instantaneous displacement of the quasi-motion damped oscillation. In the event that we investigate the dependence of the amplitude on the excitation frequency (forced oscillation), we follow the course of immediate deflection for various excitation frequency exciting force. 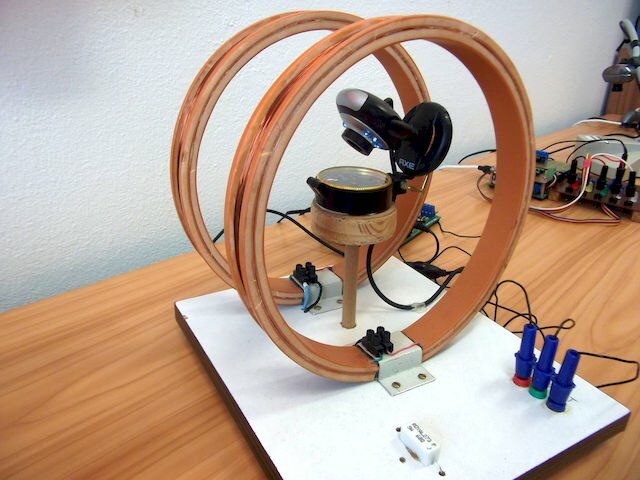 The coil is powered by a PC-controllable AC power supply for needs change excitation frequency using a computer. 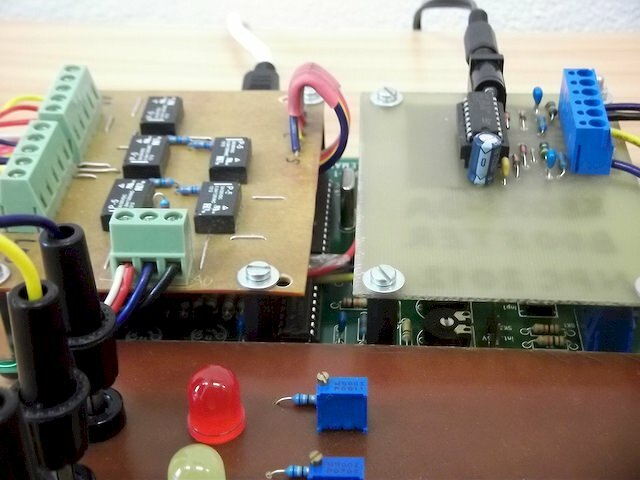 Control signals for power supply, as well as a loading of immediate deflection of the oscillator, controls the experimental set ISES. 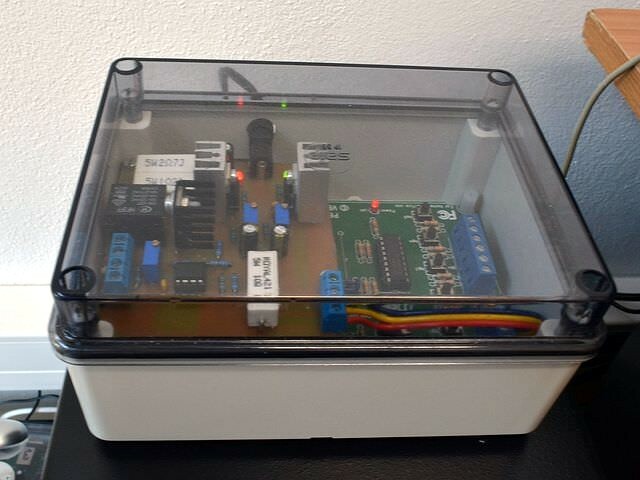 This system has several input and output ports that can be connected to various experimental modules – voltmeter, ammeter, strain gauge… etc. 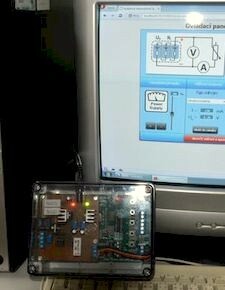 The experimental system is complemented by ISES software kit ISES WEB Control, which is created for using the remote web management tasks. 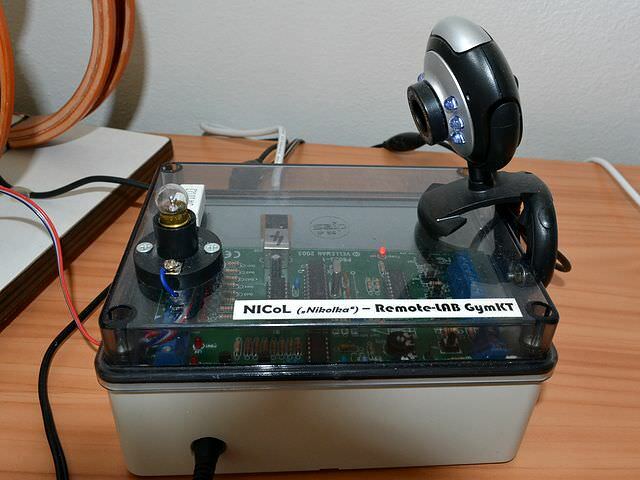 You have the opportunity to become acquainted with the basic principle of remote control in this experiment. 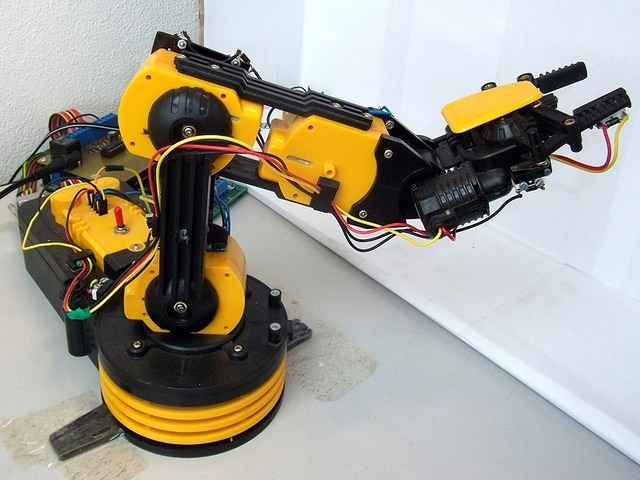 Whether you can imagine that you just control the robot research on the Martian surface, or rescue manipulator in a contaminated area wrecked nuclear submarine somewhere deep below the ocean-level, the basic principles are the same. 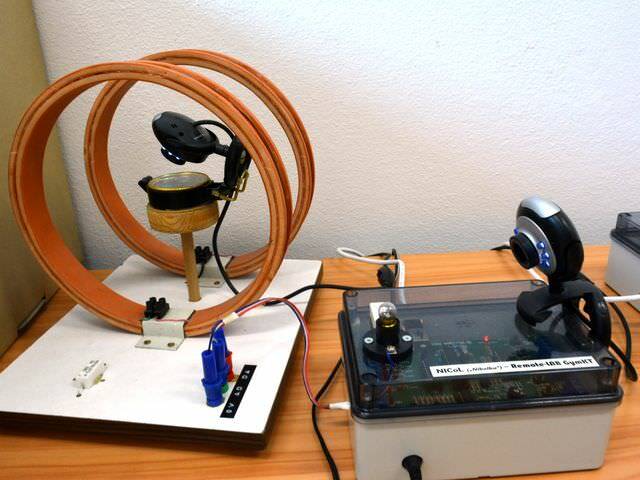 Visual field of the used camera does not allow the spatial vision. The resolution of the camera is small. 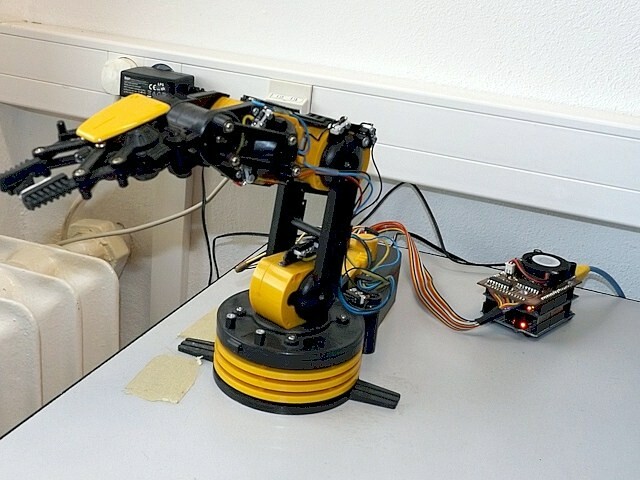 Remote robot responds with a lag. 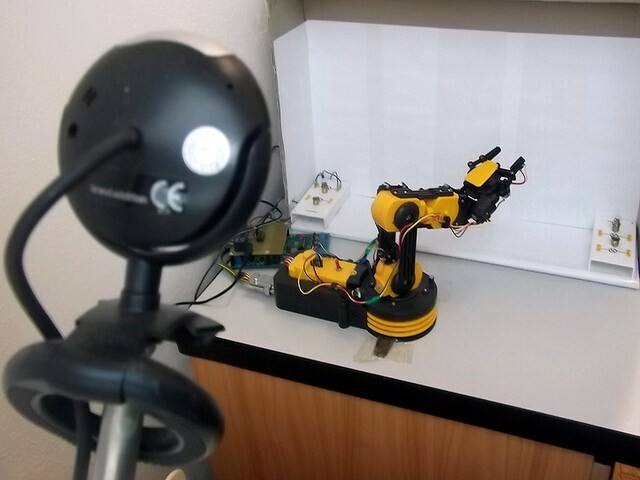 The our robotic simulator should show all of this. 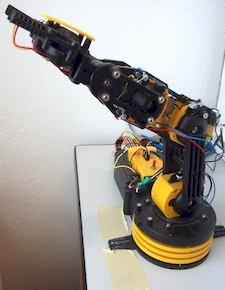 The robot KSR-10 arm made by Velleman has been modified for the task. End limiting limit switches have been added. The batteries have been replaced by a power source. 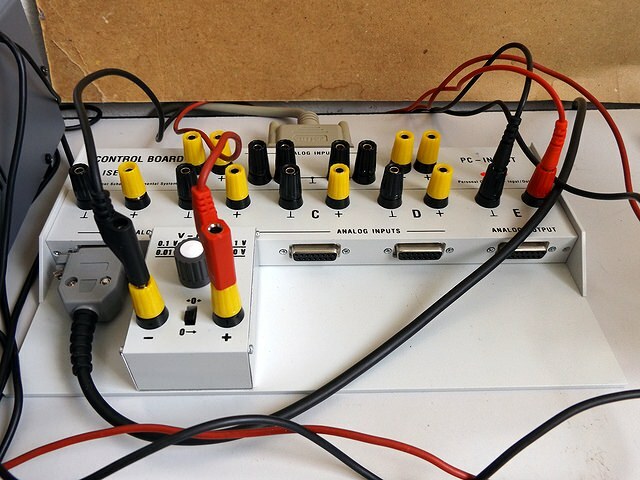 The manual control panel was completed with electronics for control using the K8055 USB board and later the Arduino UNO module. 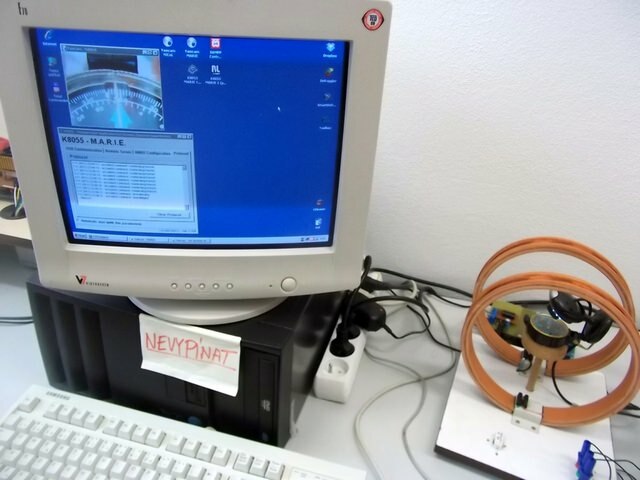 The experiment is not publicly available yet! 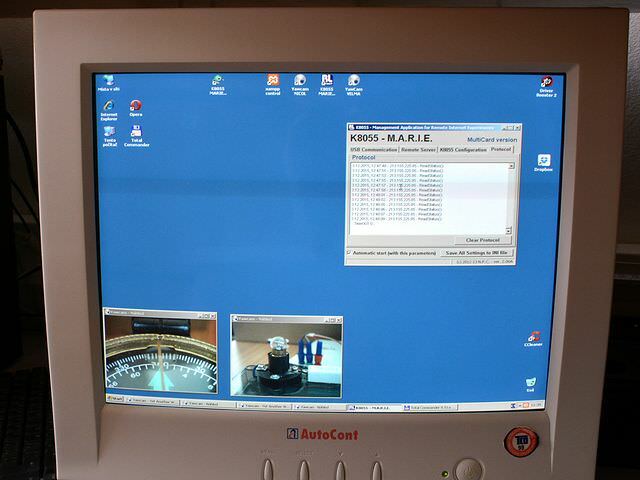 • We are testing the security of remote control now. 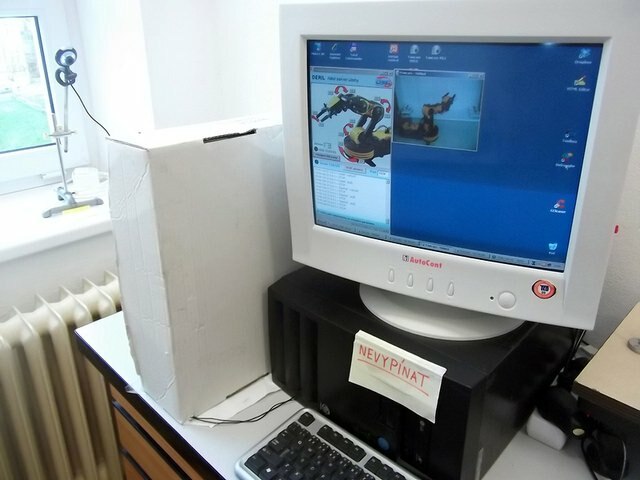 • We are preparing experiment for 24-hour operation. • We are writing texts for websites (Theory, Apparatus description, Work task). 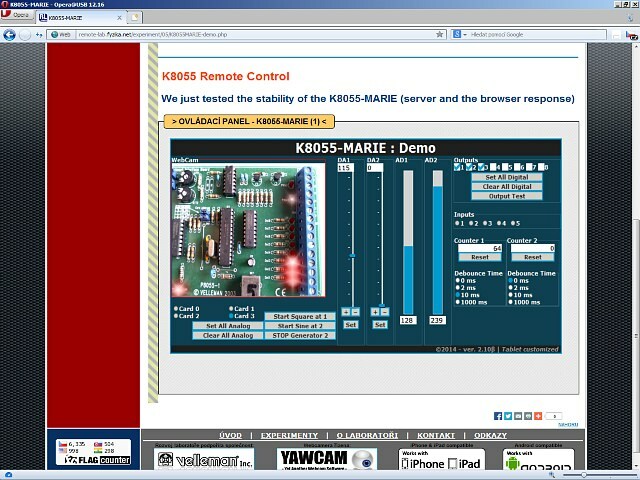 K8055-MARIE is a server application that enables remote (Internet) control of the Velleman K8055 board. 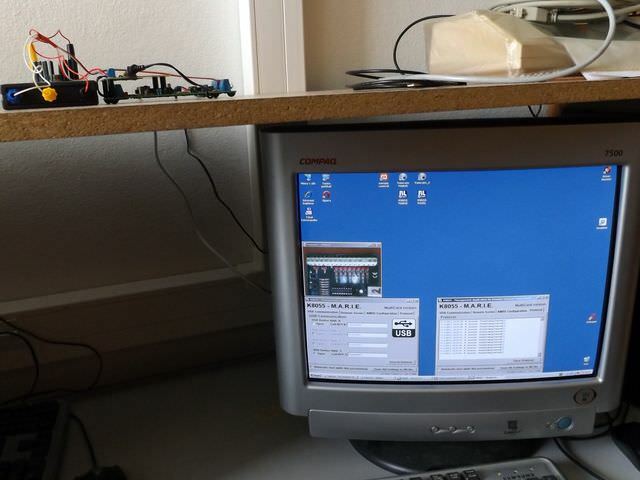 This program is running on a computer that is connected to the K8055 board and using the website for your remonte control. 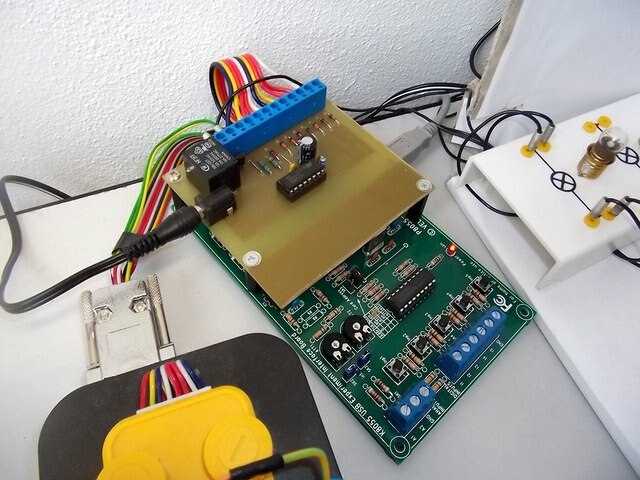 K8055-MARIE allows full control of experimental board - set of analog and digital outputs, reading analog and digital inputs, set the parameters of the counters. You can read more in the link FOR DEVELOPERS.